Super Smash Bros. 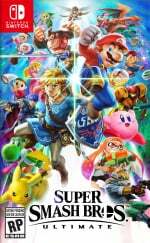 Ultimate features every character that has been playable since the series began, but one thing is missing - Waluigi isn't part of the roster and remains relegated to the role of an assist trophy. For some fans, this is an injustice which cannot continue - and they're even prepared to hound the creator of the series to make their point known. Waypoint: So, you're sitting in front of Mario Tennis Aces poster. I need to know your main is. Reggie Fils-Aime: [Forcefully, while holding back a laugh] WALUIGI. Do you think we'll ever see Waluigi become part of the Smash roster? Share your opinion with a comment. Well, tell Mr Sakurai that I am very happy Daisy is playable in Smash. Do wonder about her different characteristics though. I hope Sakurai doesn’t relent and put Waluigi in Smash. He’s a terrible character. He’s the N64 era’s Linkle. Just uninspired. I’m surprised his character has lasted this long. But then he just keeps turning up in sports titles. They've also been aware of people asking for Mother 3 for several years now. Maybe if they made a game where Waluigi would do something other than being Wario's tennis partner. Even if it was just a parody game called Super Wario Bros, as a twisted version of Mario. Unfortunately Nefarious already is a platformer in which the main character kidnaps princesses rather than saving them, so that idea is out. There is no way Waluigi is actually worthy of a place in Smash. He only exists as a padding character for sports games and was created for the sole purpose of being Luigi's Wario. That said, I would LOVE a 2D e-shop platformer that has you switching between Wario and Waluigi. Make it happen Reggie! It's hard for me to differentiate between how much of the Waluigi crowd is genuine and how many are simply doing it for the memes. Maybe the recent fiasco of threats and ****posts made me skeptical. Waluigi's a fine character, but there are so many more deserving ones. Personally, I'd take Bomberman or Knuckles over Waluigi any day of the week. Would they add DLCs in the Ultimate version of Smash? @ottospooky pretty sure that’s Tingle to be honest, lol. But yeah Wario’s Tennis partner who’s never even had his own game doesn’t deserve a slot, I think people are only annoyed because Wii Fit Trainer and R.O.B also didn’t deserve spots, BUT they’re joke characters who play really well. And Waluigi is so, well, nothing to so many people that he’s not even a joke character. @HappyRusevDay Well. They did include Daisy this time. Talk about a character.. I really wouldn't mind Reggie being an assist trophie in Smash, shooting lasers from his eyes like in that hilarious Nintendo E3. @Mogster Or a co-op game in which players take the role of the two to beat it? Giving Wario and Waluigi different powers, but also making it worth "betraying" the other player (like you need both to get through the level, but at the end only one player can actually finish it, nabbing a bonus). With yellow and purple Joy Cons in tow! If Sakurai were childish like me, he’d make Waluigi a $10 DLC character just to spite the internet harassers. He’s aware? That I want Waluigi? I don’t want Waluigi tho. If Waluigi was a playable character and Ridley wasn’t people would be mad at that too. Nintendo is a company, and like every company, they know they can’t please everyone. And neither should they try to. They should do what they think is best for their game. Adding characters to best represent all their franchises and targeted at all different types of players. Well Jim Sterling has a jimquisition ready all about Waluigi. To be called ultimate smashbros, we need alot more characters, newcomers, fan favorites, legendary iconic character like Mario, Sonic, Megaman who are already in. So bring also Simon Belmont from castlevania! also the champions from the latest zelda game. There are many fire emblem characters so add some more fron other genres. But is he well aware that I want Banjo-Kazooie in Smash? @SmaggTheSmug that sounds like a great idea!! I feel like due to having no games of his own Waluigi would be a hard character to create because all of his moves would essentially be made from scratch. Sakurai only seems to choose characters that can be strongly inspired by the games they were in. They should make a Wario and Waluigi team up game similar to the Mario and Luigi ones. I’m telling ya, they should just be a jerk like me and pull the assist trophy out. @geordie People think jim sterling is way more influential than he actually is. At this point, putting in that character (who is definitely not worth it) would mean delaying the game or putting Sakurai in the hospital. Let's be honest, does anyone that wants Waluigi have the emotional fortitude to not buy this game? No. No they do not. People will complain until every single assist trophy is playable, so why even try? If Waluigi was in Smash, he'd be just as OP as Bayonetta. DO YOU REALY WANT THAT?!?!?!?!!!! There are so many other characters I'd rather see in Smash. Maybe if he's really that popular, Nintendo should test the waters with a game staring Waluigi. Could be something small. An eShop exclusive game or a 3DS game. Anything along those lines. Alternatively, they should put Waluigi in Smash... as Baby Waluigi. That'd get people talking. I like Waluigi, but he doesn't deserve a spot in Smash. If anything, Toad or Pauline would be a better fit as they have had significant roles in various games over the years whereas Waluigi is just a glorified roster filler. I think Box Boy, Spring Man, Jimmy T, Dr. Kawashima or any other number of Nintendo characters are far, far more deserving than Waluigi for a place on the roster. Even including Daisy is a bit of a stretch to me considering how insignificant she is to the Mario franchise. @Yamyum : I proposed a Waluigi game a couple of years ago, but the thread escapes me. I think a casino simulator or a burglary game starring Waluigi could be quite cool and potentially spawn a franchise for the guy. Eh, I'd much rather get Dillon and Dark Samus. I think people gravitate towards Waluigi because he sort of fits the role Luigi once filled. A character forever in the background. His abscence in any Mario main series instantly makes him standout. Very much like Daisy his inclusion in smash would have made a small, by comparison to other characters, group of fans very happy. I for one adore Walugi and think he has great potential to be a smash fighter, but I also think his reveal in the trailer as an assist trophy once again was hysterical and totally fitting of his character. Just like Wario, Waluigi is funny! His posture is funny, the way he walks is funny, his 'Waahaa" and various other strange noises are funny. So because he's funny he deserves his place on the Smash roster. If he gets it he will definitely be joining my small roster of mains, Bowser, Kirby, DK and of course Wario. @OorWullie @3Daniel He isn't the Camelot Character I want in Smash. If he gets in and Isaac doesn't even show up as an AT, I will be very upset. Golden Sun was practically snubbed in Smash 4. There was only one song added to the game and that was a rip from the DS game plus the quality just wasn't there for that track. Where's Wart? Bring back Wart! @Smash_kirby I think it's very hard for Sakurai to appeal to both the masses and the niche fans of Nintendo's IP. Without a doubt the reason Waluigi is currently being advocated so strongly right now is because the Mario franchise has a far larger following than Golden Sun and like it or not the internet and memes are strong. Sakurai himself declared Ridley "hitting the big time." As much as I love Waluigi as a concept for the absurd I can totally see the "x character deserves a spot more" arguement. Waluigi isn’t worth the character slot. He only exists to be a partner for Wario. If Nintendo really cares about him, he would have gotten his own spin-off series by now. Waluigi coming right after the localization of Mother 3. I personally don't really care but I get those who want the character. Waluigi, much like Daisy, is to the Super Mario series what Larry was to Pinky and the Brain. For those not aware, the producers strongly felt that the show should have a third main character (oblivious to how it would affect the storyline or the chemistry between the cast). So Larry was added to the show for only one episode as a joke. He was very obnoxious and spent the whole episode reminding everyone that he’s part of the cast (while Pinky and the Brain pretended that he had always been there, as though the audience wasn’t thinking “who the hell is this guy supposed to be” the entire time). Incidentally, the show really did eventually add a third character in the form of Elmira. It jumped the shark right after this happened. Fortunately Sakurai and Miyamoto seem wise enough to understand that adding a new character just for the sake of having a new character isn’t a good idea. That interview didn’t translate to text very well. It would’ve been better in video form, I think. People should just be rejoicing that Ridley is finally in after years of begging. But no... People immediately have to find something new to complain about. Unjustified, pretty negativity is the plague of our generation. @HappyRusevDay That's the thing, ROB and Wii Fit Trainer are two characters who represent important parts of Nintendo's history. ROB is one of the main reasons why Nintendo even gained a foothold in NA. After the video game crash of 1983, retail stores wanted nothing to do with video games and very few refused to deal with Nintendo, despite their offerings being superior to Atari's games. With ROB, Nintendo was able to market the NES as a Robot Toy, and got the foothold that allowed the NES to get into the hands of consumers and the rest is history. Since that time, ROB has made numerous cameo appearances in various games, with a playable appearance in Mario Kart DS predating his debut in Brawl. So, ROB being in Smash is another way Nintendo can honor the little Robot that changed gaming as we know it in NA. As for the Wii Fit Trainer, she represents the Wii/DS era of Nintendo when they were making more casual titles that targeted people that did not normally play video games. My point is, ROB and Wii Fit Trainer are important links to Nintendo's history, and given Smash is pretty much a who who's of Nintendo and gaming history, their inclusion makes sense. The problem with Waluigi is that he's not only unimportant to Nintendo's history as a whole, he's not really that important to the Mario series outside of filler. Paper Mario, and Toad both have a stronger argument for inclusion over Waluigi. Paper Mario of course is the star of a very successful sub-series of the Mario series, while Toad is his various forms has been playable in Super Mario Bros 2, New Super Mario Bros Wii, and New Super Mario Bros U, and been the star of spinoff games including Wario's Woods and Captain Toad Treasure Tracker. This is also including Toad's inclusion in Mario spin-offs and their recurring role as supporting characters in the mainline games. Simply put, Waluigi is not important to Nintendo or the Mario series. He's fine as an assist trophy. IMO after all the whining and harassment, I'd almost say remove Waluigi from Smash completely; that won't happen, but the whiners don't deserve him as a playable character either. I would like to see him as part of the roster, but other characters are as equally deserving. His name is even silly and uninspired. It should've been something like Ruigi. I wouldn’t mind if he was playable but since he’s not it’s no big deal. So they make Yellow Peach and probably the most dangerous villain they had into a tiny cutie, but the what? 3 Twitter users harass Sakurai with ghost accounts and suddenly every Waluigi fan is responsible for the demand he's removed as punishment? There'll be DLC for Ultimate, you watch. And what will the next fan vote box be stuffed with? Forget Waluigi as a Smash character. I want a great Waluigi platformer in the vein of Warioland Shake It! Give the loser a dang game of his own already! I hope Sakurai does a Smash character ballet again where we can vote in another character for Smash Ultimate just like we did Smash 3DS and Wii U. I still want K. Rool, Isaac, Ghirahim, Geno, Crash Bandicoot, Rayman, Shantae, and Shovel Knight for Smash but again it's up to Sakurai. Sorry Waluigi but even you're not on my most wanted list. That was a very unprofessional interview. "Why does Nintendo hate waluigi then?" what are you talking about? "Why has waluigi not been featured more prominently in games such as smash brothers?" would have sounded way less petulant. Journalism is going down the drain. I would hate to be a PR person in this day and age. Then again it goes both ways, we have folks telling the press to shut up as well. @DockEllisD another 10 for his color alts. "I've got nothing to announce"
@Turbo857 In Japanese that's the same as "Luigi". @HappyRusevDay I don't know about R.O.B not deserving it. His game and toy were pretty jenky, but they were a huge part of Nintendo's marketing in the West. This is also when Nintendo basically resurrected the game industry. If Duckhunt Dog deserved a spot, then R.O.B definitely deserved one too. An argument can be made for Wii Fit trainer as well, since it was one of the big selling points for the Wii to a large number of people who never gamed before. Who is this one Waluigi fan? If Waluigi can't be in it, then I see no point of Wario being in it. If Mario can get his own joke, evil-twin character, then the Super Mario Bros. both deserve their joke, evil-twin. Why not? Now, he does make perfect sense as assist trophy, much in the same way Jeff from Earthbound makes sense as an assist trophy-- These guys never had their own claim to fame game. It's one of those weird character-by-association things for Waluigi, but the only solution would be to have him starring in a game. Maybe he needs to join Wario with the WarioWare series? @3Daniel I think if another Mario character got in, I feel like people would be more upset and claim that Waluigi took another character's slot. I could see Waluigi coming later as DLC. oh no, please no DLC for Smash ever again. I'd love a COM encounter with Wario in his classic outfit, and an assist trophy spawns right on him, only for Waluigi to pop out, turn on him, and face the player(s) for a round of hurt. Maybe with a giant-size modifier, so he too can hit the big time. Can we just give Waluigi a proper game so that his inclusion in Smash isn't that difficult a decision for Nintendo to make? I trust the creative minds of Nintendo to make some crazy and outside the box game for him much like they did for Wario years ago. Even a new Wario Land game with Waluigi as an alternate character would be nice. Eh, makes sense I suppose. It just kinda ruins the upside letter convention started with the "W" in Wario's name. But, it is what it is. I always thought that Wario and Waluigi would be the perfect antagonists in a Mario and Luigi game. Even if they weren't the main antagonist but they got in the way every so often. Heck, maybe Mario and Luigi could team up with them for a game. Unfortunately it will probably never happen. @MeloMan Waluigi is nothing like Wario though, Wario is more well-known cause he not only had one but two franchise under his name (Wario Land and Wario Ware and that's not even including the four other spin-offs under his name: Wario's Woods, Wario World, Wario Blast, and Wario: Master of Disguise), Waluigi got none, starred in none, and was not well-known to many other than the Mario Golf, Tennis, and Kart spinoffs. He was basically created for the sake of giving Luigi an evil counterpart in those spin-offs and it didn't win over fans as much as Wario. At the very least Sakurai was nice enough to give him an appearance as an assist trophy. Waluigi probably WILL be in it, just with an odd unlock. Probably something like you have to be playing one player, have Waluigi come up as an assist trophy for an enemy, and you do enough damage to KO him... then he throws a fit, calls everybody cheaters, KOs who you're supposed to be fighting, and you have your unlock battle then and there. @Silly_G Burglary could be a good one! Kinda reminds me of the Sly Cooper series but I'm sure Nintendo would have their own spin on it. More emphasis on mechanics that involve stealing rather than straight-up platforming. A casino type game wouldn’t be a bad fit for him. Cheating to beat the system. Or he's the dealer/owner of a casino and he keeps bending the rules to stop you. Waluigi is such a blank slate though. They could do anything with him as long as he’s been underhanded. @memoryman3 Spoilers. She has none. Put him in the game as a joke character please. Have him trip every 3 steps and do pitiful damage when he actually does connect with an attack. Leave him like that for a while before patching in an actual moveset for him. Waluigi needs more story before being put into Smash as a playable character so I don’t mind if he’s not playable. He’s just not iconic enough to be part of it more than an assist trophy. I love Waluigi too, and a Wario bros game really needs to happen. 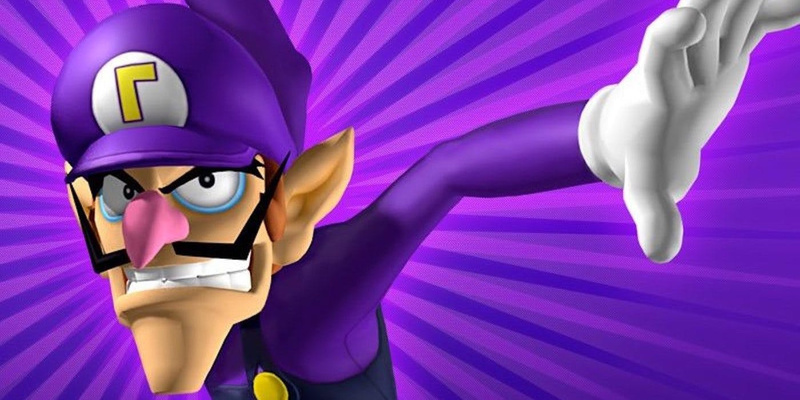 That said, it suprises me that there´s such a fandom for Waluigi. Must be a recent thing. This is sick. I pity Mr Sakurai! Poor Mr Sakurai! I have never asked for Waluigi and never wanted him just because Mr Sakurai is not too well nowadays. He is sick. So it's alright for me. And now you made him aware about it and I feel so bad. So bad. I hope he decides not to include Waluigi. There are many Waluigi fans since Mario Tennis, I don't see what is so weird about it. I have always found him more interesting than Wario anyway. Waluigi seems to be as bad as his brother but more intelligent and those arms, legs and laughter are so funny. As far as I know it's a popular choice in Mario Tennis, Mario Kart and Mario Party games. It seems inappropriate that he keeps being banned in Smash Bros. for whatever reason. Waluigi should definitely be included in Smash Bros.
@Turbo857 @TJF588 also since Ruiji means "one who is similar"/etc, one could argue that in Japanese Waluigi's name makes even more sense than Wario's. It basically describes Waluigi perfectly: He's a person who looks similar to the bros, but rude and unpleasant, wicked. I was never a fan of Ridley, and cared not for the characters who got dropped from the franchise (except Ice Climbers). I'm not saying Waluigi deserves to be in, but don't lump me and others in with the "meme-lords" and "internet harrassers". I've been wanting Waluigi or King K. Rool in Smash for years now. There were plenty of people who wanted Waluigi in before the Ridley announcement and didn't just jump on the bandwagon because "memes". And who are you to say Waluigi doesn't deserve to be in Smash? Bayonetta deserves to be in Smash because she was Nintendo exclusive for one game? Corrin deserves to be in Smash because...Fire Emblem? Cloud deserves to be in Smash because...he's popular? Anyone can get in Smash if Sakurai wants to include them. Again, not saying Waluigi should be in, but saying "he doesn't deserve it" does not hold much weight at all. It's one thing to dislike Waluigi. It's another to dislike people because they like Waluigi (or any character for that matter). That's low. Waluigi is not [currently] announced as a character to take people's focus away from Reggie. It's obvious. Had Waluigi been included, then people would be demanding Reggie's inclusion instead. I still hope for Waluigi to get in. It's time he finally had things going his way. @PtM Brother of partner, it doesn't matter. He's so funny. One of my favourite Nintendo characters. @Mogster Relevancy is not a valid excuse as long as Jigglypuff is part of the roster. Despite being with Smash since the beginning, she has always been and still is one of the most laughably unimportant characters to her franchise. You'd think the Pokemon Company and Game Freak would go out of their way to make her more important after Smash, but no. She's been a garbage Clefairy knockoff from the very beginning, Clefairy even got her own manga, her anime importance is an outdated relic, she has absolutely no Starter Pokemon level privileges compared to things like Riolu, Meowth or even Munchlax in any main or spinoff games, no Mega Evolution, no Alola variant and even after the introduction of Fairy, the Clefairy line remains factually superior to the Jigglypuff line in battle. Even though she IS in Smash, she's still unimportant outside of the first 2 games because everything she WANTS to do, Wario just does it better: just as good air mobility, actually good grab, just as good recovery, actual survivability, a command grab, actual combos, etc. There's absolutely no point to use Jigglypuff in Pokemon games when Clefairy is available (or any Normal or Fairy mon for that matter) and there's absolutely no point to play as her in Smash when Wario is available. Waluigi is far more important and adored to his own franchise compared to Jigglypuff. Why not put Waluigi in? If he's that much of an obscure character, then why is the Wii Fit Trainer in? They're supposed to be a placeholder! @Navitroid Nah If reggie was an assist trophy, he would be an invincible wall constantly screaming "MY BODY IS READY!" People have modded him in before, how hard could it be to put him in? I don't want Waluigi to be a playable because then I couldn't complain about Waluigi not being a playable character. @Liljose2122 first off, no, Waluigi cannot be a Wario alt as his hitbox would be extremely broken along with the fact his move set would not make any sense at all like have you seen Waluigi waft? I think not, thirdly he's not even a Wario character! Never. Waluigi does not deserve to be in Smash. He remains as an Assist Trophy and that's it. @InklingLegend "Never was bad"? Explaim how does he cheat? Stop being a crap hater. It exists like the Assist Aliance. These rules dont exist. We just want Waluigi in Smash. @DaquanHarrison17 The only fake this is the assists cant be upgraded rule. Actually no. No one never said that. Stop doing fake rules. @Appleflap Why not both? Lets have peace dude. I just don’t hear anything about Bomberman. There is a movement to promote AT spirits etc. Is not a hate move or thing to bother sakurai. You should check it out. The name is Assist Alliance. There is for every one.